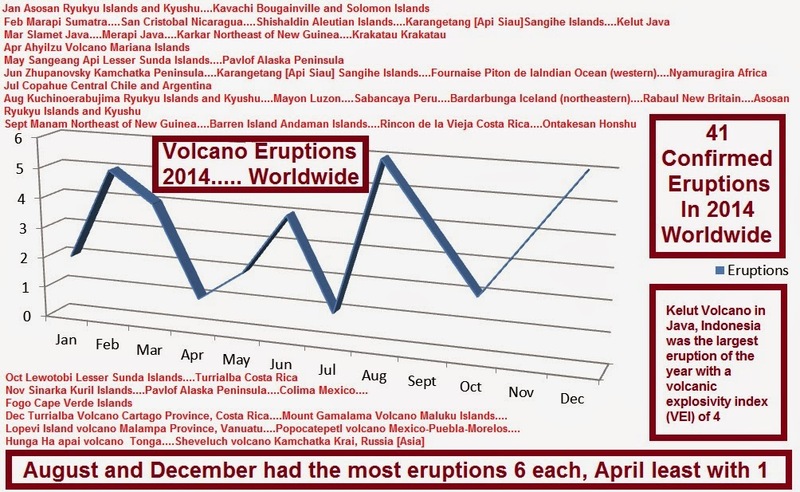 A total of 41 volcano eruptions where confirmed in the year 2014, which you can see on the wonderful graph below which falls into an average figure for the last 60 years or so. The largest eruption of the year was the Kelut Volcano in Java, Indonesia measuring 4 on the Volcanic Explosivity Index, ( VEI). 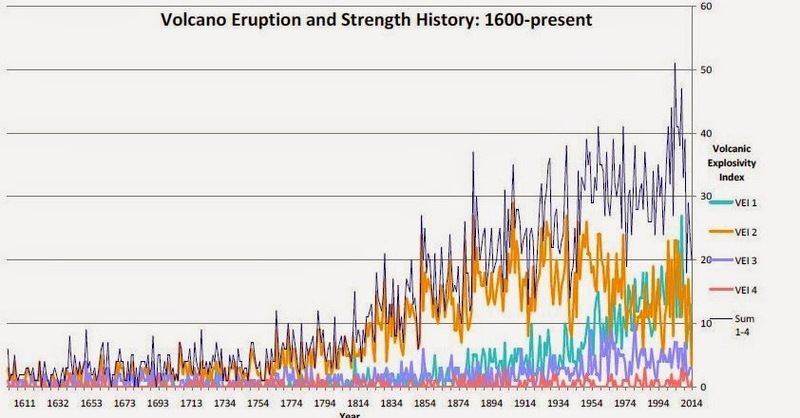 The graph above showing all eruptions and strength history since 1600 with a max VEI. 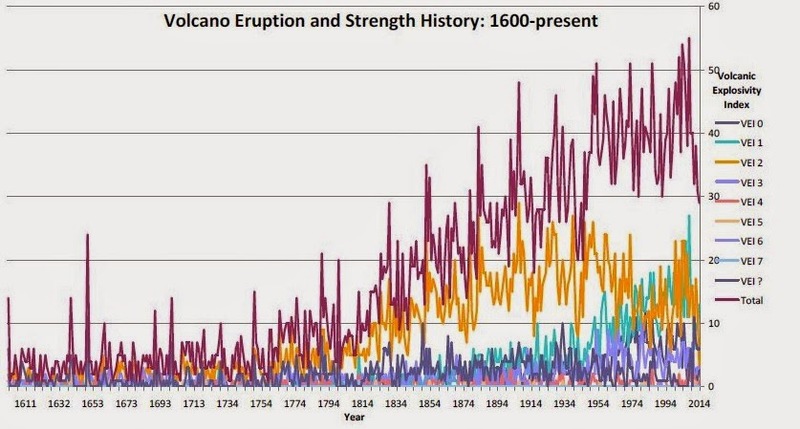 Below is a graph showing eruption and strength history since 1600 showing a more realistic VEI to 4.